Come out and “Chill Out!” with Sing Out Detroit. 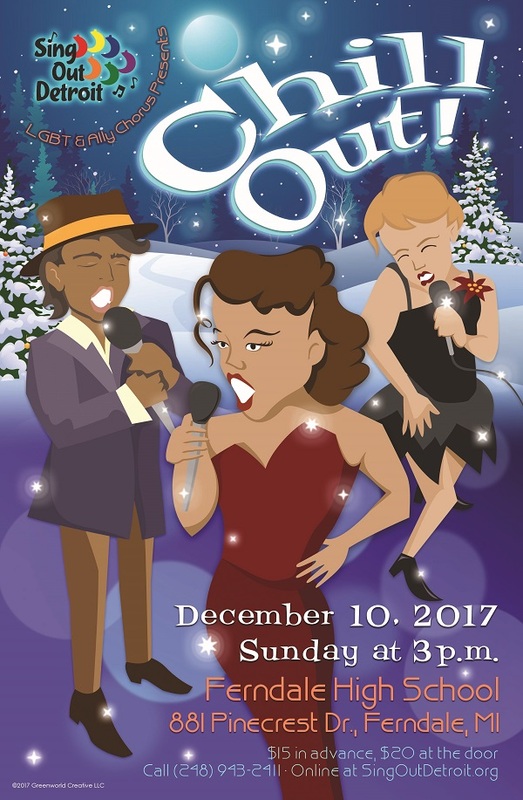 Don’t miss this fun afternoon of cool jazz and traditional holiday songs! Show time is 3pm, Sunday Dec. 10 at Ferndale High School. Tickets are $15 in advance, $20 at the door. Available online or by calling (248) 943-2411. See you there!